After a long closed beta test and a few open house events for players to enjoy its mix of hack and slash and dungeon building, The Mighty Quest for Epic Loot is finally entering open beta on February 25th, Ubisoft has announced. More features will be added to the game when the open beta launches, such as the Runaway character (picture below), which will join the current cast of three heroes (Archer, Mage and Knight). 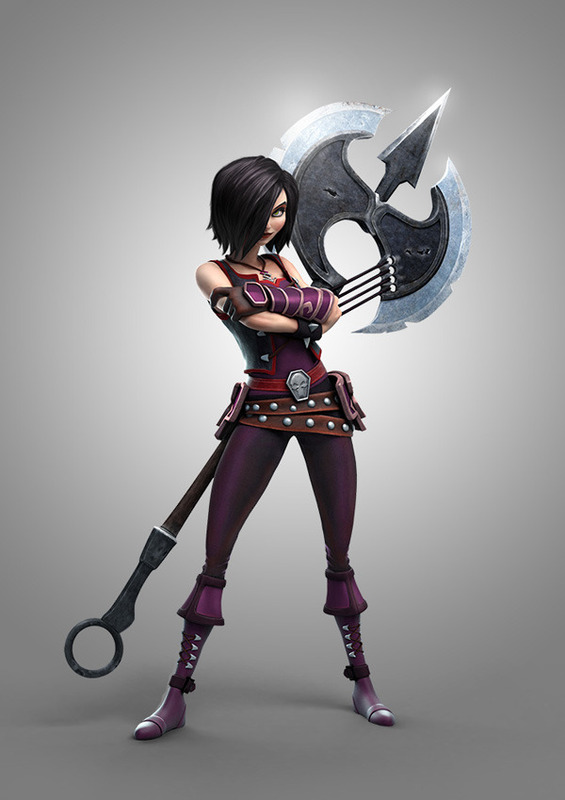 The Runaway is the first female hero of the game, a mid-range melee attacker, hitting with her custom Axe. She is supposed to hit slow, but hit hard, harder than any other character in the game. An open creation mode is also planned. Check our The Mighty Quest for Epic Loot first look gameplay video to know what this game is all about.